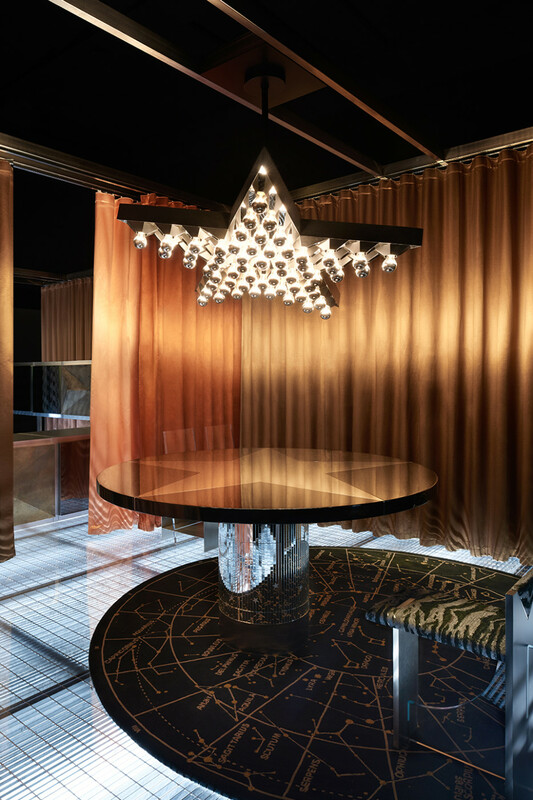 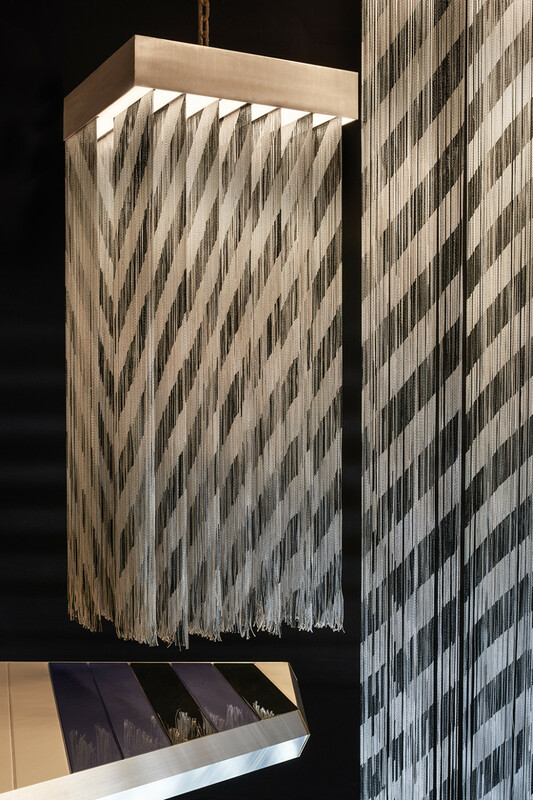 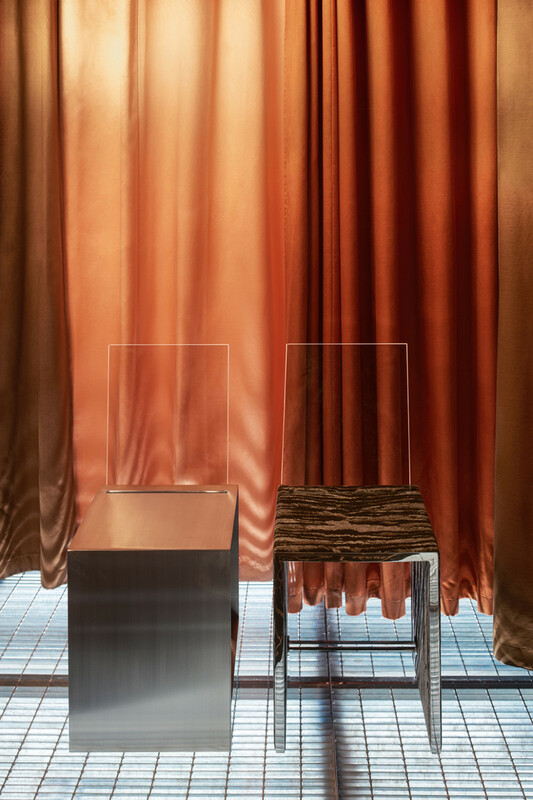 During Milan Design Week 2019, Interstellar presented the debut of Dimoremilano: the new brand comprising furniture, fabric, object and outdoor collections by Dimorestudio, as a result of the continuously evolving creative approach of Britt Moran and Emiliano Salci. 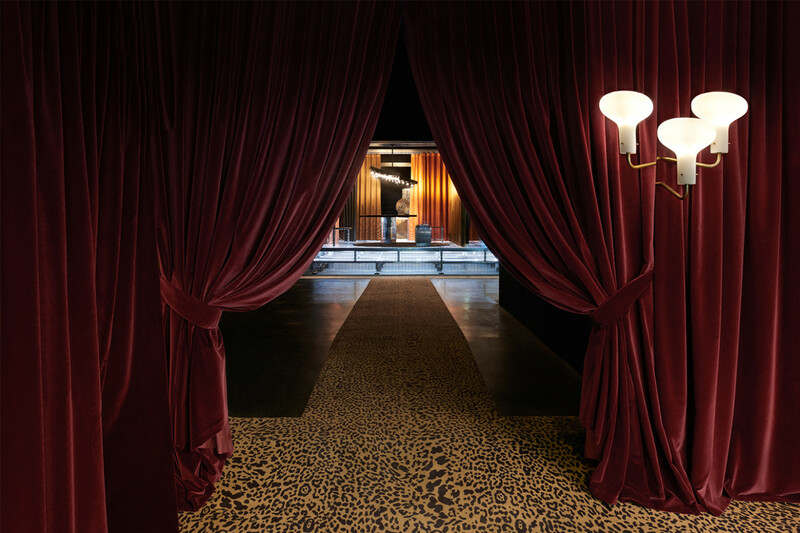 The label joins the studio’s 360 approach to residential, hospitality and retail projects, in addition to Dimoregallery, the historical and contemporary design gallery. 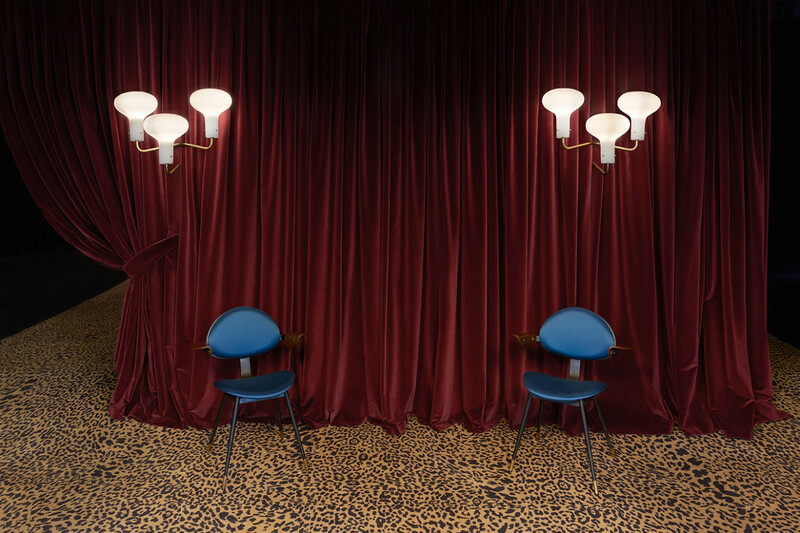 The shapes of this new collection are robust and dry, as evidenced by their well-defined lines. 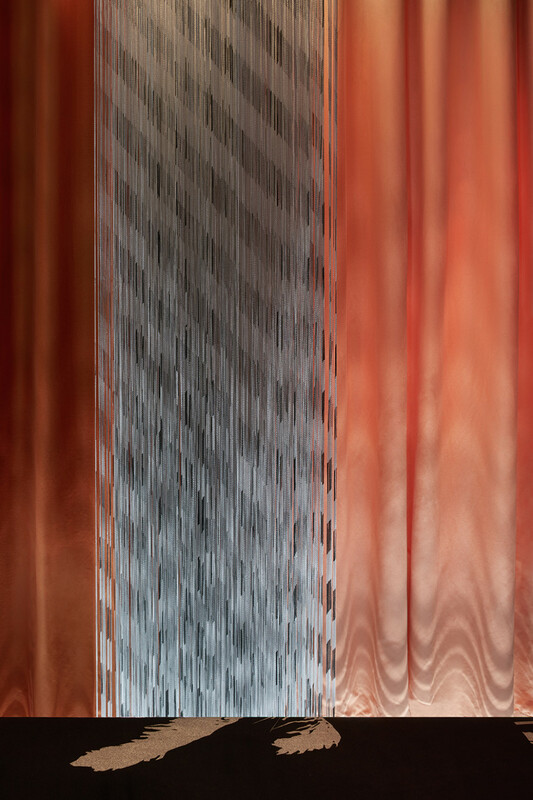 The colors are dark. 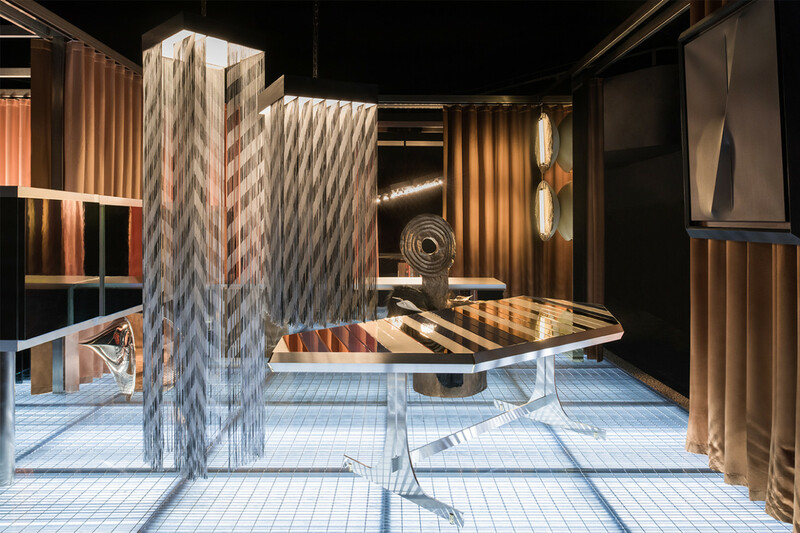 The choice of the materials – aluminum, lacquers, brushed and polished steel, bronze and laminated surfaces – announces a new direction. 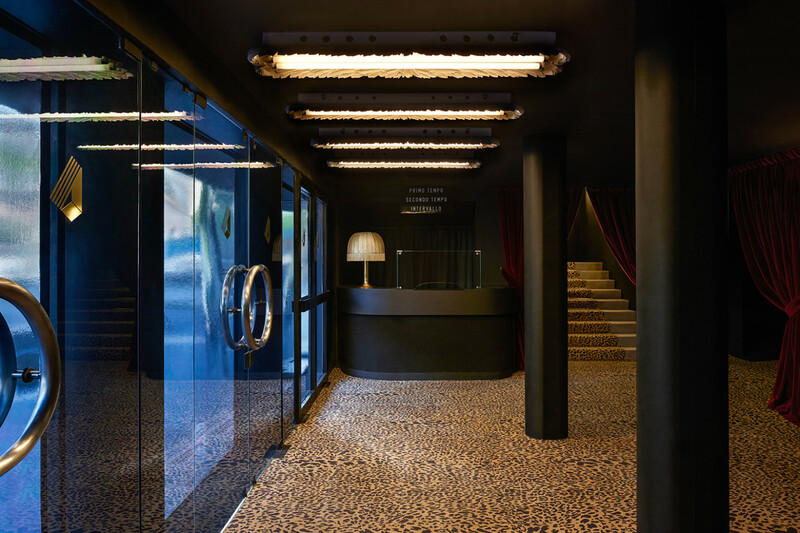 An unexpected location hosted the launch: the ex Cinema Arti in Via Pietro Mascagni 8 – a historical building of the Rationalism era, which unveiled the vision and the evolution of Britt Moran and Emiliano Salci’s galaxy. 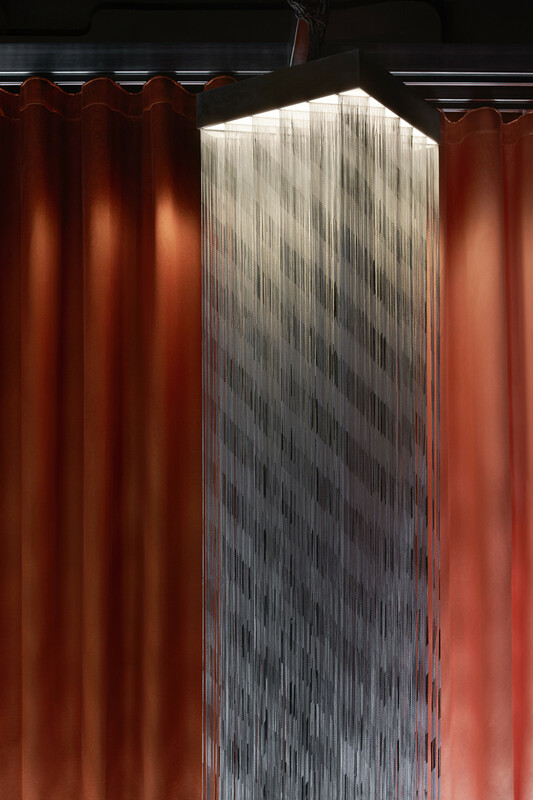 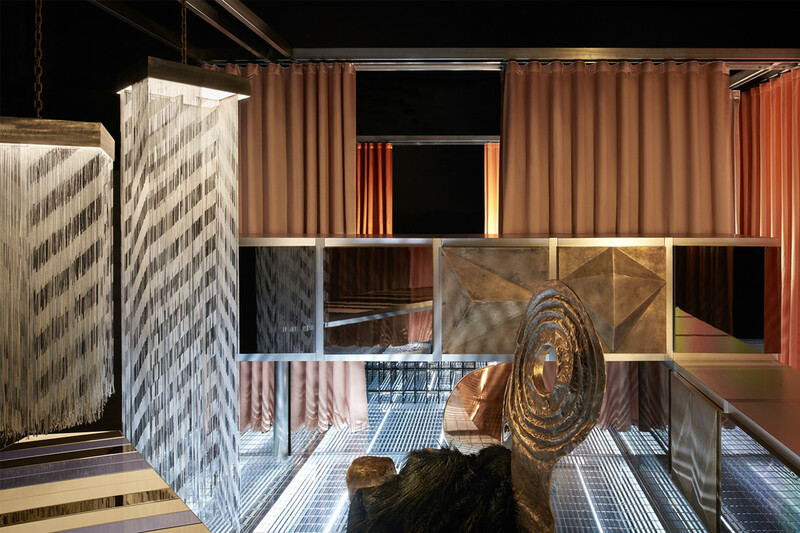 Dramatic, rock, decadent: a rectangular steel grating central stage, illuminated by neon tubes, brought the new statement pieces to life. 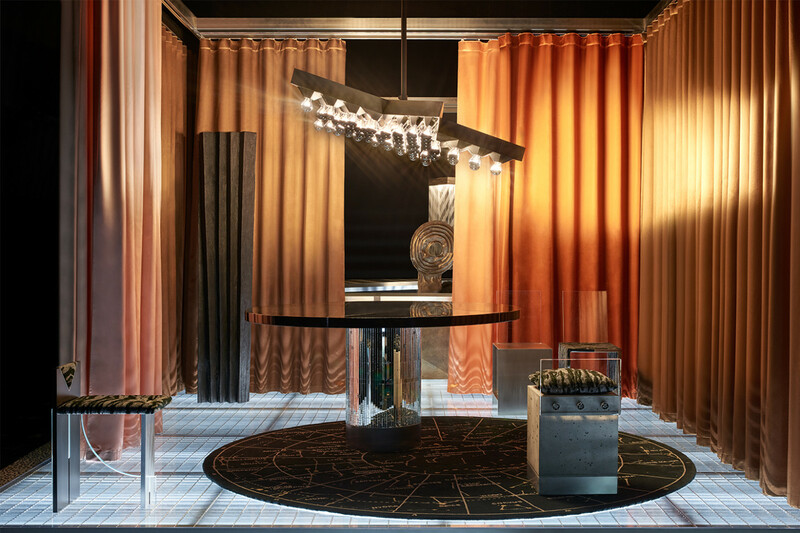 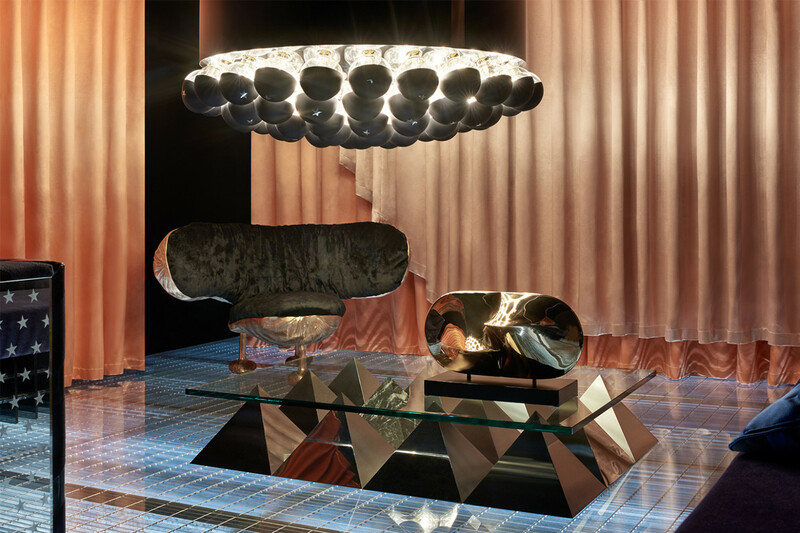 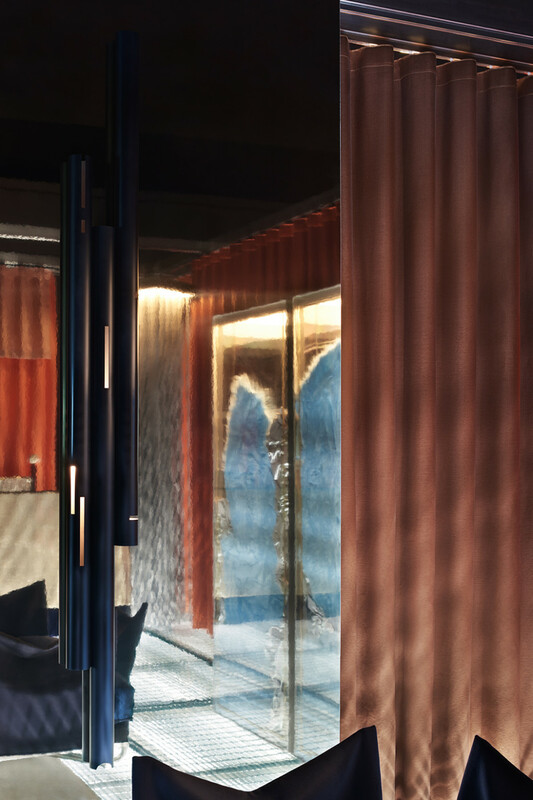 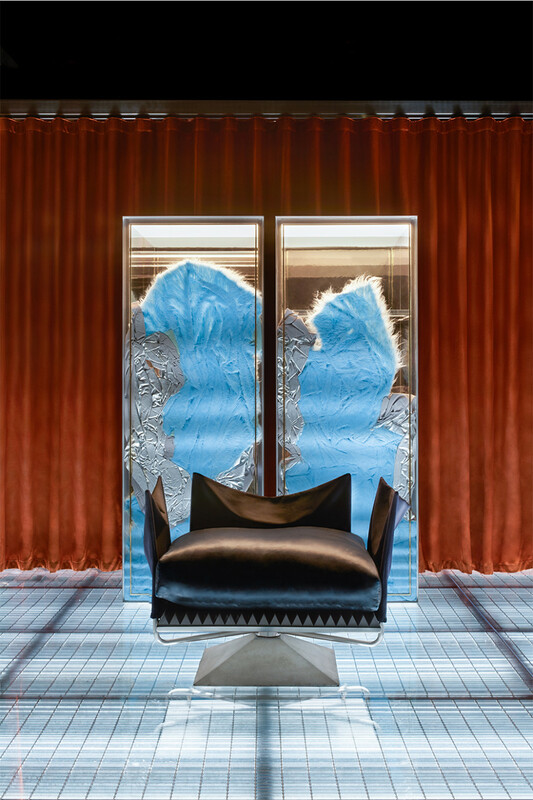 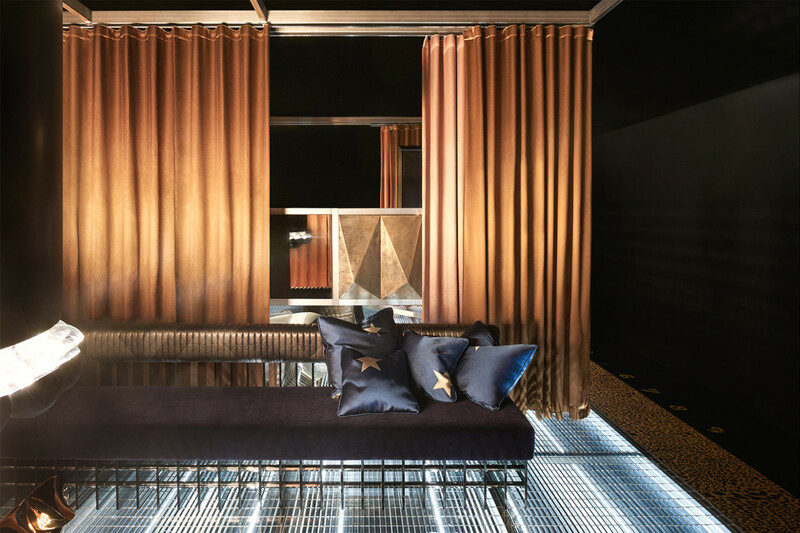 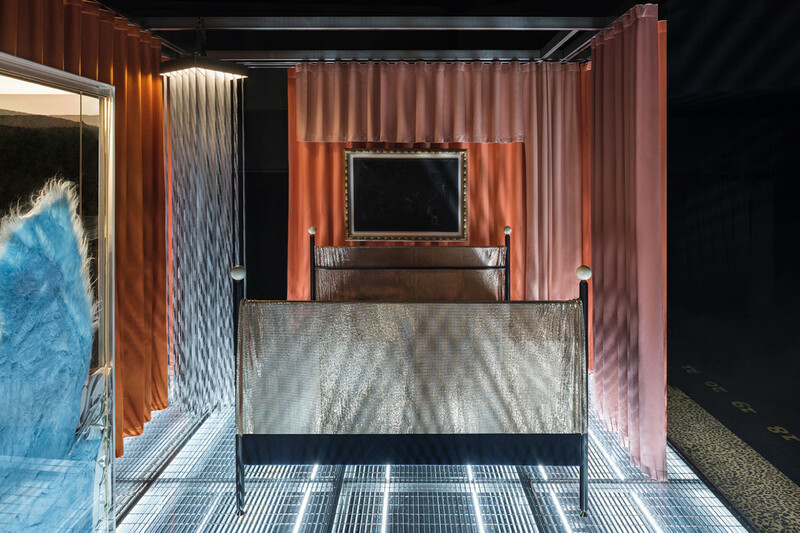 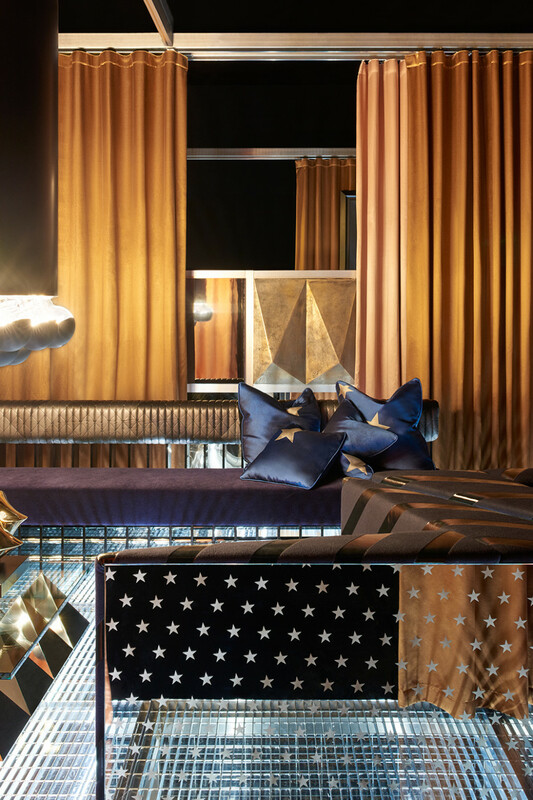 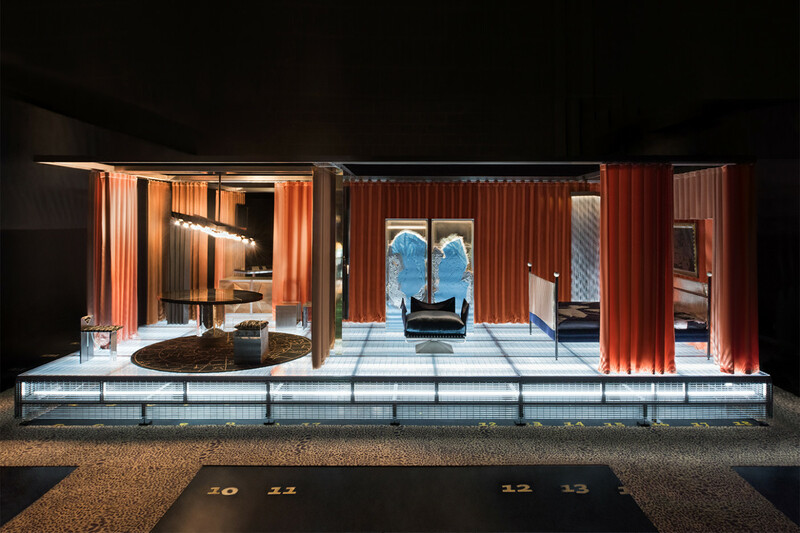 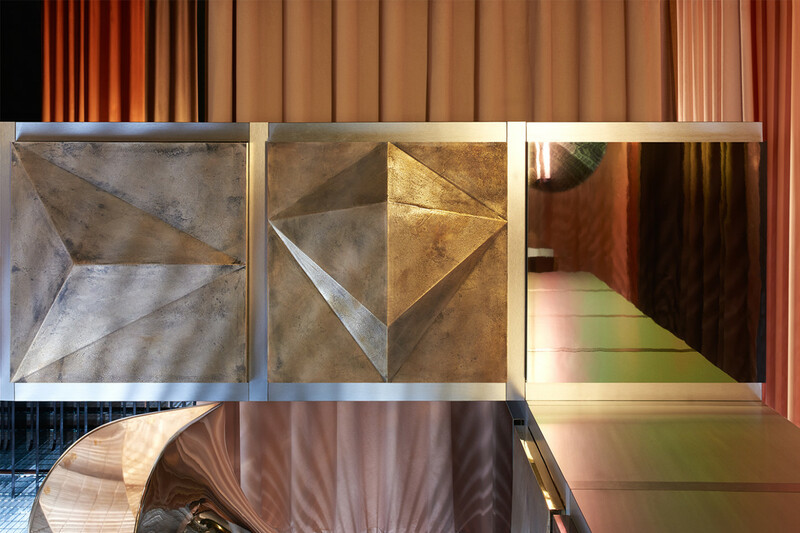 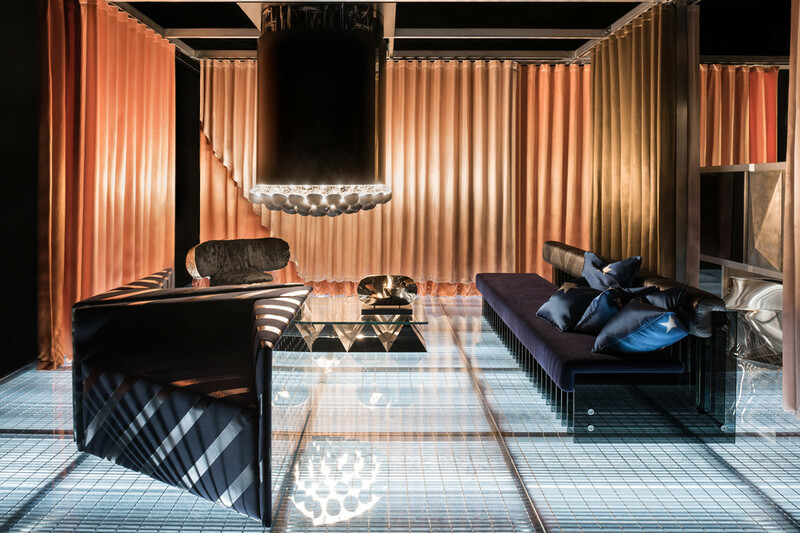 The new furniture collection was the protagonist for four divisions created by coral silk partitions – bedroom, dining room, office and living room – showcasing the firm’s creations in their fullest splendor.